Artificial intelligence development and its impact on different industries have been all the rage in the last year. The digital marketing medium is facing years of fundamental strategic changes due to revolutionary new intelligent technologies. It shouldn’t be difficult, however, as this dynamic medium has already been able to effectively adapt to new changes like the rise of social media, SEO, and content marketing throughout its 15-year existence. SEO has gone through many transformations over the years, starting from the simple optimization of landing pages on a desktop computer to a more complex and ever-adapting process of enhancing existing content and creating new engaging content that meets its target user on various platforms and gadgets. While its basic tools remain the same – keyword-consistent content, links buying and optimization of meta tags – SEO also includes in its strategy factors like mobile search, user experience, and social media marketing. SEO specialists started freaking out when in 2016 Google introduced RankBrain, “a machine-learning algorithm that identifies patterns and buckets data” that processes search results, and then completely lost it when it was revealed that this new system analyzes all Google searches, making it the third-most important ranking factor. Since the beginning of the year, a lot of theories have emerged about the forthcoming shifts in SEO strategy, so we’ve summed up the most talked about topics in this article. Here is how new technologies will influence the future of SEO and what search marketers can do to include them in their strategy and stay on top of the game. It’s no secret that Google’s main focus is the user. From penalty systems to semantics-savvy AI, all efforts of betterment have been dedicated to improving the relevance of content for the searcher. Google’s one-year-old game-changing algorithm RankBrain was introduced to augment Hummingbird by interpreting the context of the content and showing users pages that do not include the words they initially looked for, but which contain information related to the idea, domain or category of the query. Of the 3 billion searches that Google processes each day, 15% of them had never been seen before. As of 2016, RankBrain is being used to process each one of them, so it has at its disposal extended resources to learn how to investigate all types of inquiries, including rare ones. Though Google’s webmaster trends analyst Gary IIIyes informed the industry at last year’s SMXAdvanced conference that optimization for RankBrain is not possible, SEO marketers tried to understand the dynamics of this algorithm and develop dedicated techniques. Of course, artificial intelligence means that the system acquires information without being programmed – by using machine learning – so we can’t really know what the final result will be. Advice regarding adaptation varies a lot. For example, Due founder John Rampton says that getting inspired by authority sites in terms of structure and content can influence RankBrain to evaluate it as professional, while WordStream founder Larry Kim argues that sites with strong domains will come down from top rankings if they feature links to poor quality content. Search engine marketers can try finding out for themselves what the impact of RankBrain is by paying even more attention to SERPs and questioning every traditional SEO technique previously applied. They can collect data like common keywords or phrases that predominate titles, the sources of links on top-listed pages, and even the age of the best-performing pages. These observations will provide some minimal knowledge about what set of ranking factors are favored by AI for a given subject. These two show the importance of spam fighting in Google’s policy. When paired up with RankBrain, these features assure a diminution of poor-quality backlinks and content. The first solution for enhanced user engagement is to boost the functionality of the website, making it easily navigated and accessible on many browsers and devices. Then comes the consistency of links on the website. 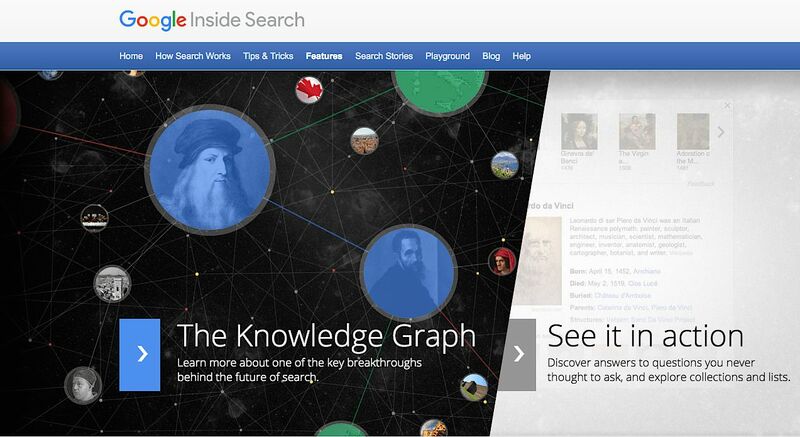 Five years ago, Google launched The Knowledge Graph, which brings together Wikipedia, Wikidata and CIA World Factbook in an attempt to put together all big information sources and make them accessible from a single platform. But it doesn’t just store data; it also makes connections that can impact brands. 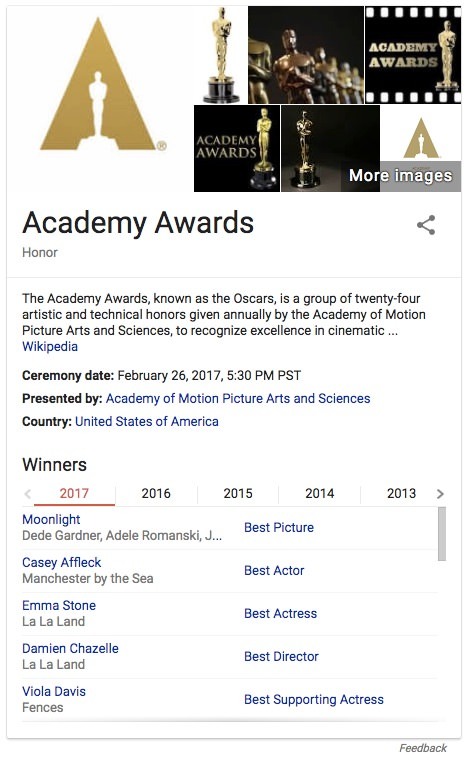 This means that marketers have to influence The Knowledge Graph so that people can find professional up-to-date information on the first search. In order to control this information, official representatives of companies can suggest changes, but modifications have to go through a validation process, which means that Google will scan the web in search of data about a company. All brand accounts have to contain the same information: Wikipedia Page, Wikidata platform, Google Plus account. Include social media accounts in the description so they will also be displayed on the dedicated sidebar. These days, mobile search has significantly overtaken desktop search, with 86% of Americans spending their online time using smartphone apps. As a response to Facebook’s Instant Articles, Google introduced accelerated mobile pages (AMP) to enhance mobile loading of search results pages. They upgraded it in May, making pages load twice as fast and ensuring that display ads are seen. Apple is also catching up and has launched its own Search Ads platform, which was enthusiastically expected by SEO marketers, as Apple has over 2 million apps available monthly in its store. According to Adweek, Apple Search Ads had a promising start, with 50% conversion rates. AMP will likely be the next targeted improvement to be included in the algorithm after Mobile Search and considering that 44% of the world’s population will own smartphones by the end of the year, it will probably happen soon. Most big name brands already own AMPs, so it will soon be added to the list of necessary UX advancements. The 2013 sci-fi film “Her” is about a lonely writer who falls in love with his virtual voice assistant that is so well-developed it gives him the illusion of a romance. These virtual assistants can answer simple questions, send a dictated e-mail, read the news, set a timer, provide directions for a destination or search for a nearby restaurant. 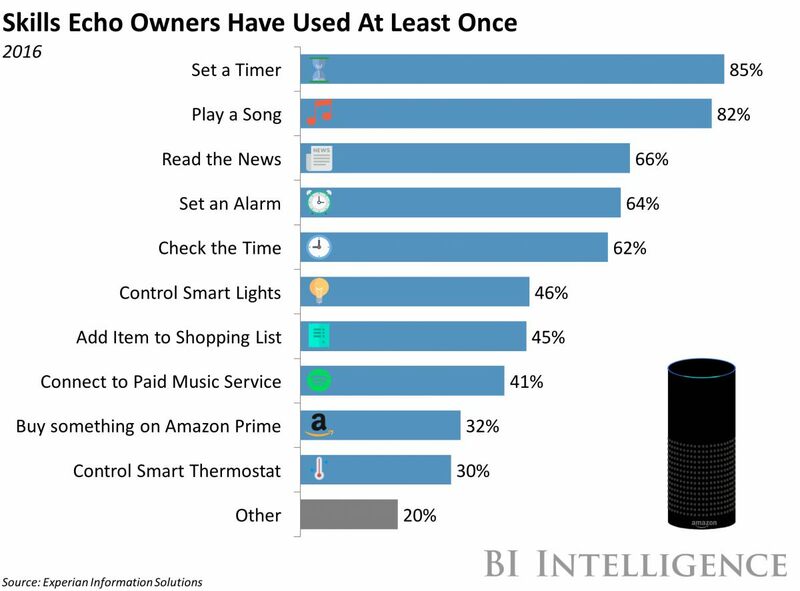 They will continue to be part of an ascending trend, especially because of their utility while driving, but also because they can be incorporated into other cutting-edge technologies like smart homes. This element re-confirms the necessity of focusing on versatile conversational and user-oriented content that can be easily be understood by AI algorithms and listed in top pages. Talking to virtual assistants makes voice searches conversational, so SEO experts should make use of this opportunity to find out more about their audience and then come up with voice search optimization strategies. Search engines are becoming smarter and will soon decipher audiovisual language entirely. According to Kleiner Perkins, 74% of Internet traffic will consist of videos this year. 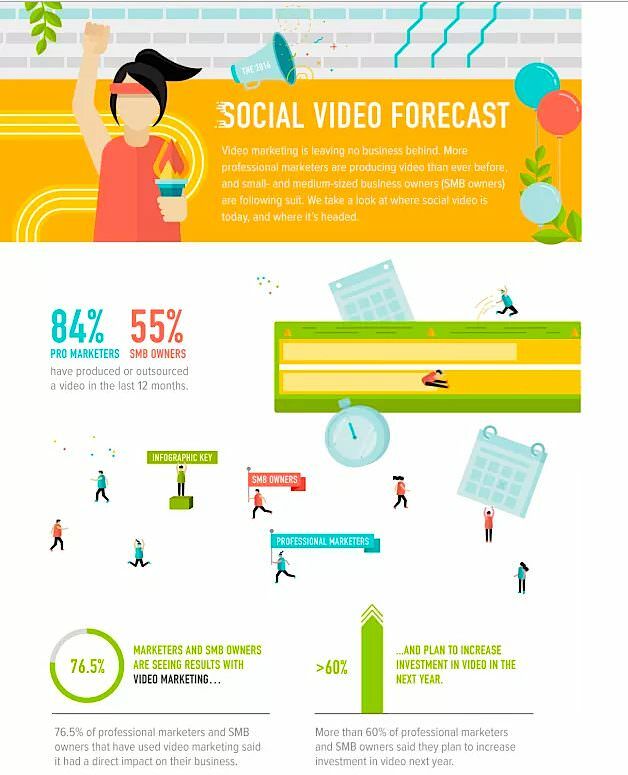 Animoto’s Social Video Forecast states that more than 60% of business owners and marketing specialists planned to increase video marketing spendings in 2017. The rise of video will make SEO marketers focus even more on visual content, but it will also force artists to create video with optimization in mind. In fact, it will probably give life to a new category of videographers who will specialize in SEO content, just as it happened with writers. Social media specialists are already paving the way for this, with video sharing and live transmission increasing in popularity on different platforms. Facebook was successful with its Live option, Instagram constantly comes up with updates on video customization, and even Twitter allows video posting, but the platform to trust is YouTube, because it is entirely video oriented so it provides long-term engagement, unlike the other more diversified platforms. Marketers have already adopted SEO YouTube optimization techniques, but the possibilities will diversify as new technologies become even more engaging and accessible for individual users. There is already footage available for 360̊ videos and VR technology is captivating audiences worldwide. Optimize for YouTube by focusing on keywords. The most simple and effective strategy is to include the main keyword in the filename, the title of videos and playlists, and the descriptions and tags. Virtual reality offers a exciting journey that can be experienced in the comfort of one’s home, while allowing marketers to optimize content that is truly memorable. The video gaming industry is already ahead of the VR market, but other industries could pick up the pace. This new entertaining technology has made the headlines of tech news and will continue to be a preferred topic in 2017. Social media is starting to adapt, like Facebook which now features live 360 videos. Other platforms will follow, but the most important aspect is that every new VR attempt can grab the attention of bloggers, media influencers, tech verticals, and marketing authority sites. The fuss around VR will provide marketers with a consistent network of partners to link to. VR and 360-degree videos can be filmed, distributed and optimized with various Google tools, such as Cardboard Camera, VR View and Street View. The content can be shared on various platforms, including WordPress and social media such as Facebook. The VR View plugin allows virtual reality videos to be embedded on a webpage and played by users without the need for a specific headset. Moreover, content produced with the help of Samsung or Ricoh Theta is also listed in organic search results. All things considered, SEO will become more resourceful in the upcoming years, but also more complex, forcing marketers to develop more elaborate strategies that bring more types of content, devices, and tools into the equation. But no matter which combination of elements you use, the focus should stay on the user and their needs, as machine learning and artificial intelligence technology will transform ranking factors that can better reflect the needs and expectations of searchers.